Walkabout Australia - This gallery pays homage to the home of the original walkabouts. Australia is an adventure - from the vibrant city of Sydney, to the quiet majesty of the Outback, from the excitement of diving on the Great Barrier Reef (was that a shark that just flashed past us?! ), to the cosmopolitan sophistication of Brisbane. Walkabout Boston – What a great town – made for walking, made for photography. From the hopeful crowds outside Fenway Park to the deserted warehouse district, from pedestrians dodging cars in Back Bay to the ever-present buskers in Cambridge, the town is a vibrant tapestry of energy, history and hope. 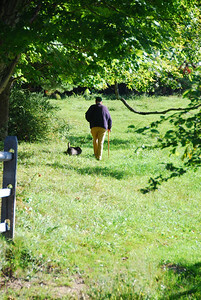 Wandering but not lost – Sometimes a walkabout can look like mere wandering. This gallery celebrates some of my other walkabouts – fun or beautiful or unusual places that won’t get their own gallery here. But I still wanted to share these places with you, and you can find them here, where I am wandering, but not lost. 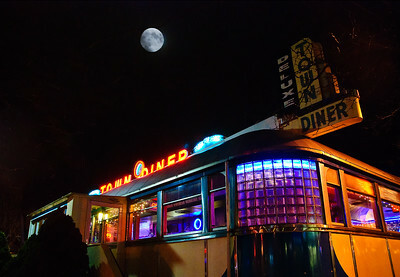 The Diner Project – The classic diner is a unique American creation that embodies many of the themes of the American experience. They are symbols of entrepreneurship – offering to immigrants and blue collar workers the promise that by buying and running a diner they could own their own businesses and be their own boss. They are symbols of an era marked by optimism for the future, with diners clad in sleek art deco-style stainless steel exteriors, roadside messages of futuristic style and design. They show us the growing role of women in public society, as the signs for “booth service” let women know that they were welcome at this diner, where the booth seating was “more appropriate” than stools at the counter for women and families. And one more reason to photograph diners – a person has to eat while on a walkabout. To visit this gallery click on the photo. If you want to see all my diner photos, each diner has a separate gallery on this page: All the Diners. 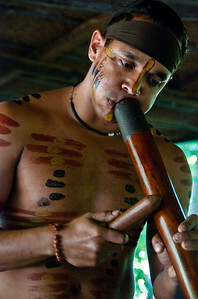 Music of the Walkabout – The walkabout moves to its own rhythms, constantly changing internal songs that lift the heart, or prepare the spirits for introspection. But sometimes the walkabout is moved by the music of the buskers – street musicians who provide the background music for the walkabout. 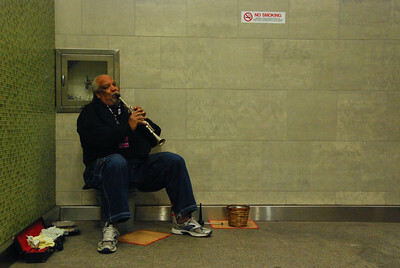 This gallery is devoted to the buskers on the street corners, in the subways, in doorways, and wherever we find them, playing their hearts out for the change that passersby drop in their open guitar cases and jars. Project Manna: Acts of Charity and Praise – Every year, our synagogue hosts ‘The Manna Concert” to raise funds for a soup kitchen run by the Massachusetts Avenue Baptist Church. 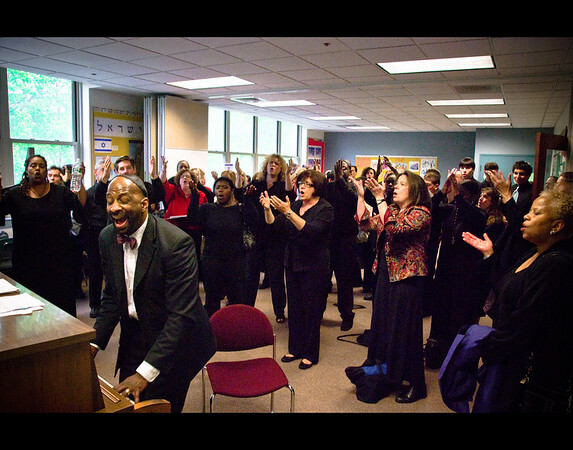 The concert brings together choirs from some of the local synagogues and black churches – joining in joyful celebration of God’s grace, and in a shared mission to feed the hungry and comfort famished souls. This gallery celebrates the spirit of the event, the passion of the participants, and the commitment of the volunteers who make and serve the meals. 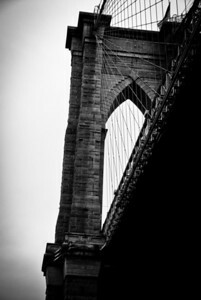 Walkabout New York – What is it about this amazing city that leads me to still identify as being a New Yorker? I lived in New York City for 17 years; I’ve lived in Boston for more than 30. And yet I still think of myself as a New Yorker who, due to the vicissitudes of life, happens to be living in Boston. It isn’t just a place – it is a way of thinking, a way of living, a way of looking at the world. This gallery celebrates the spirit of my hometown. Walkabout Underwater – A walkabout is a journey that takes place in the mind as much as in a place, and so I say “Yes, you can do a walkabout in flippers!” There is great beauty and peace under the surface, such as the graceful swaying of colorful fauna on the coral. There is great violence, too, as a sea snake flashes out from beneath a rock to catch a fish that has wandered too close. 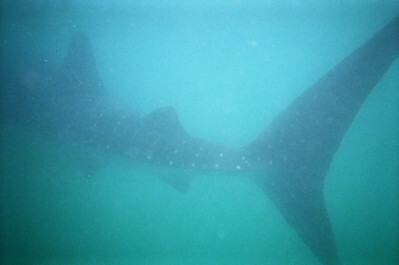 And there is nothing like a 40-foot whale shark silently gliding behind me, or a barracuda eyeing me as I swim along its reef, to remind me that I am a visitor in this watery world, and perhaps we are not the all-powerful, top-of-the-food-chain beings we claim to be on dry land. The photos in this gallery span many locations - whale sharks in the Gulf of Mexico, fauna and fish on the Great Barrier Reef, the vibrant colors of the Pennekamp Reef off of Southern Florida, and elsewhere. Join me on this very wet walkabout. 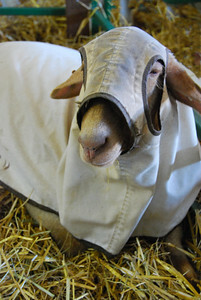 Walkabout at the Topsfield Fair – Founded in 1818, the Topsfield Fair is the oldest agricultural fair in continuous operation in the United States. By that measure, it took me 192 years to finally go there. My walkabout through the Fair opened my eyes to a community in Massachusetts that was unknown to me – 4H Club livestock contests, awards for the best bushel of tomatoes and best corn, sheep shearing, and giant pumpkins. The social life of the nighttime midway rides and carny contests reminded me of trips to Coney Island in my youth. And the performance by the Royal Canadian Mounted Police Musical Drill Team rivaled the performance of the Lipizzaner Stallions that I saw in Vienna several years ago. This Topsfield Walkabout gallery contains a selection of photos from the Fair. 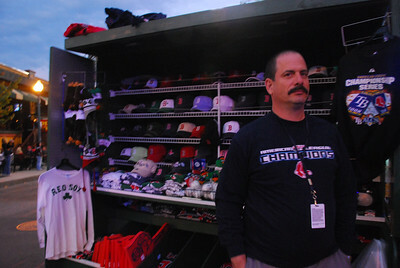 If I took your photo and you don’t see it in that gallery, or you want to see more photos from the Fair, you can see all my photos at Topsfield 2010 and Topsfield 2012.